Hi Blog. Now here’s a disappointment. Looks like the DPJ caved in with all the pressure (and outright xenophobia and nastiness) from the opposition regarding local suffrage for NJ PRs. Admittedly, the DPJ didn’t do much of a job justifying the bill to the public. And where were people like DPJ Dietmember Tsurunen going to bat for the policy, for Pete’s sake? Disappointing. 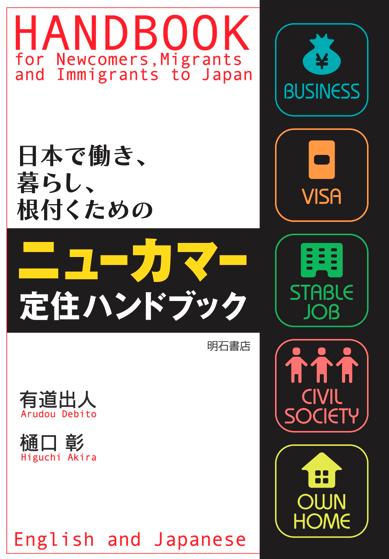 Not just because of course Debito.org is in support of the measure (reasons why here), but also because it’s one more clear failure in the DPJ’s Manifesto. First the “temporary gas tax” backpedal, now this. It’s making the DPJ look like they can’t reform things after all. Sad. Arudou Debito in Sapporo. The government has abandoned proposing a bill to grant local voting rights to permanent foreign residents in Japan during the current Diet session, in the face of intense opposition from coalition partner People’s New Party (PNP). “It’s extremely difficult for the government to sponsor such a bill due to differences over the issue between the ruling coalition partners,” said Internal Affairs and Communications Minister Kazuhiro Haraguchi. Now, the attention is focused on whether ruling and opposition parties will launch a campaign to pass the bill as legislator-initiated legislation. The suffrage bill was expected to be based on a draft that the DPJ prepared before it took over the reins of government, and it proposes to grant local suffrage to foreign residents from countries with which Japan has diplomatic ties. The DPJ’s proposal will cover some 420,000 Korean and other special permanent residents — both those who arrived in Japan before World War II and their offspring — as well as about 490,000 foreign residents from other countries. The campaign to enact legislation on foreign suffrage in local elections dates back to 15 years ago. Encouraged by the 1995 Supreme Court ruling that “foreign suffrage is not banned by the Constitution,” over 1,500 local assemblies adopted a resolution to support and promote legislation to grant local suffrage to permanent foreign residents in Japan — some 910,000 people as of the end of 2008. However, as the passage of the bill becomes a real possibility along with the change of government, various views have emerged. 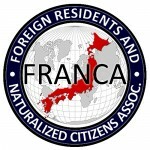 The National Association of Chairpersons of Prefectural Assemblies held an interparty discussion meeting on local suffrage for permanent foreign residents on Feb. 9 in Tokyo. “It’s not the time for national isolation,” said Azuma Konno, a House of Councillors member of the DPJ, as he explained the party’s policy on the legislation at the meeting, raising massive jeers and objections from participants. The Mie Prefectural Assembly, in which DPJ members form the largest political group, was the only chapter to support the granting of local suffrage to permanent foreign residents. “The argument against suffrage rings of ethnic nationalism,” said Speaker Tetsuo Mitani. The fact that the DPJ’s legislation plan met with strong opposition during the meeting highlighted the Liberal Democratic Party (LDP)’s strong sway over local assemblies, where its members manage to remain as the largest political group. Opponents of the bill argue that it is unreasonable for the central government to make decisions on regional electoral systems while pledging to promote decentralization of authority. Furthermore, the national association of chairpersons adopted a special resolution calling on the government to focus more on the opinions of local assemblies on Jan. 21. During the LDP Policy Research Council’s national meeting on Feb. 10, LDP lawmakers instructed its prefectural chapters to promote resolutions opposing foreign suffrage at respective local assemblies, in a bid to undermine the Hatoyama administration and the DPJ in cooperation with regional politics. According to the chairpersons’ association, before the change of government last summer, a total of 34 prefectures supported the granting of local suffrage to foreign residents; however, eight reversed their positions after the DPJ came into power. The trend is expected to accelerate further, pointing to antagonism between the nation’s two largest political parties, as well as the conflicts between the DPJ-led national government and local governments. Meanwhile, the recent political confrontation has raised concerns in the Korean Residents Union in Japan (Mindan), which seeks realization of the suffrage bill. The Chiba Prefectural Assembly, which adopted the resolution supporting foreign suffrage in 1999, reversed its position in December last year. “We cannot believe they overturned their own decision,” said an official at Mindan’s Chiba Prefecture branch. The branch, which has a close relationship with LDP lawmakers, had owed the prefecture’s previous decision to support the suffrage bill to the efforts of LDP members in the prefectural assembly. 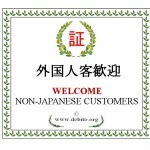 According to the National Diet Library, foreign residents are granted local suffrage in most major developed countries. “Considering the future relationship between Japan and South Korea, we should clarify the government’s policy,” said Ozawa, who showed strong enthusiasm for the realization of the suffrage bill during his meeting with South Korean President Lee Myung-bak in Seoul last December. Hatoyama agreed. Ozawa apparently aims to pass the bill before this summer’s House of Councillors election in a bit to win Mindan’s support for the DPJ. DPJ executives had agreed to submit the proposal as a Cabinet bill, not as a lawmaker-initiated legislation, during a meeting on Jan. 11. “Consensus within the ruling coalition is a minimum requirement for realizing the legislation. It’s not an easy task,” said Hatoyama on Saturday. After all, the government was forced to abandon submitting a foreign suffrage bill to the ongoing Diet session. Kamei the Hutt at work. I will dance a happy dance when he is gone. That is great. Permanent moniker for him from now on in my home! He’s just another crusty old man who needs to go; he may be in a new party, but his heart and soul is still LDP for sure. As if they would make naturalizing easier anytime soon! Very disappointing. I m definitely not going to pay my city tax on time now, and I m going to get non Japanese halth insurance. — I saw it too on the TV news. But give us a link anyway, please. why oh why is the DPJ in alliance with Kamei and the New People’s Party? Its a tiny far right party; once again this group of people is dictating national policy to the Japanese.They make Koizumi look liberal. “Most of the members of the Kokumin Shinto were formerly members of the Shisuikai (also known as Kamei Faction) of the LDP. Their strong links to the postal lobby forced them to go against Koizumi’s plans to privatise the postal system. If the price of deposing the LDP is to have these neo-Nazis in the government, I d say its time for a new election. 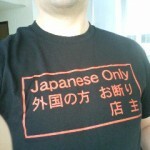 Mitsuhiro Suganuma, formerly of the Japan’s Public Security Investigation Agency, mentioned to the foreign correspondents club in 2006 that 30% of the Yakuza is Korean. This is probably where Governor Hashimoto is getting his information on the connection. I guess this is kinda off topic, though…. Here is an interesting article from the Washington Post regarding Japans attitude towards immigration.